Where I tried to get people to interact, and write a chain story like in my ESL classes, I have decided to try something different. I have set up a wiki for myself. On it I have copied a classic Edgar Allen Poe short story, "The Cask of Amontillado". When you go there, you can log in, and edit it to your hearts content, and change it to whatever you want. You can change the setting, change the characters, and do whatever you like. If you want to make the story on the planet Belgar in the year 2207, and change the characters names to that of famous serial killers, then go ahead. I won't stop you. Hopefully someone else will log in, and change it for me. It's just a way to have fun, and maybe lampoon your favorite celebrities, political figures, or relatives. Whatever happens is limited only by your imagination. I take no responsibility whatsoever for what appears on that page of the wiki. It's just for fun, Ok? If the proper page doesn't show up, go to the "Change a Classic Short Story" page listed under the "Wiki Information" box, (the middle box on the bottom of the page). 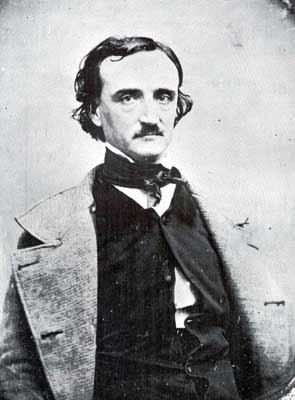 Go and mess with Poe.